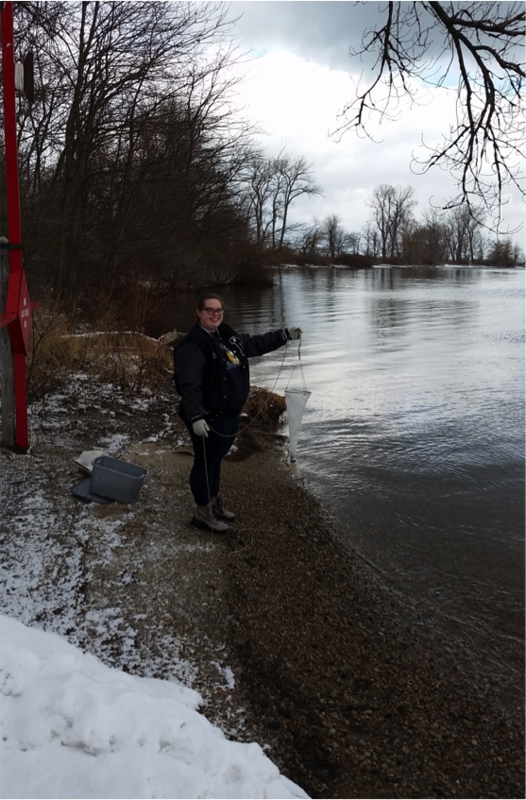 Jessica having fun collecting samples during a cold Erie winter. Using an algae tow net to collect a sample at Vista 3 in Presque Isle Bay. Counting bacteria colonies in a lab at the Regional Science Consortium. Using vacuum filtration to plate sample for E.coli and Enterococcus bacteria. Jessica will be attending Penn State University as a Schreyer scholar starting in Fall 2017. Pennsylvania State University as a member of the Schreyer Honors College to major in Environmental Resource Management. Through Jess’s work with Jeanette Schnars, executive director of the Regional Science Consortium (RSC) and previous Pennsylvania Scientist Spotlight selection, and Amber Stilwell, the RSC lab manager, Jess has been involved in Lake Erie-focused water quality research that allowed her to develop and explore her own research questions. 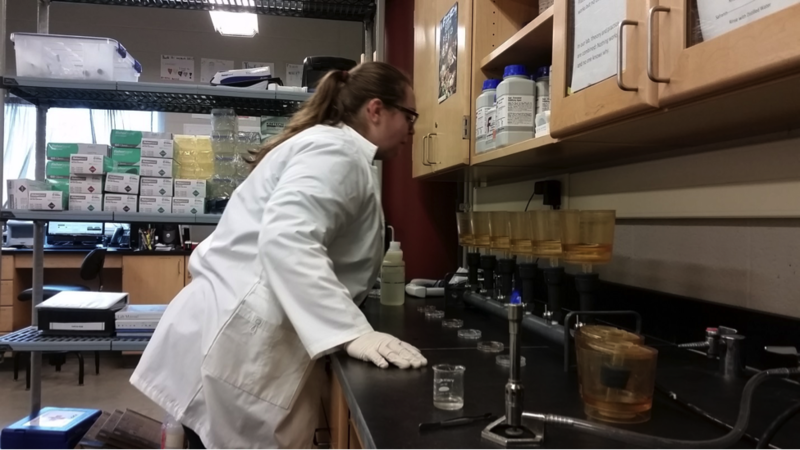 This research experience made her application to the Pennsylvania State University Schreyer Honors College more competitive. I hope to focus on aquatic ecosystems, although I am unsure exactly what facet I will focus on. I find chemistry really interesting, so research on how certain compounds or pollutants impact different species in an environment is intriguing. 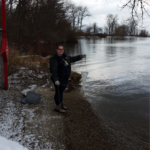 Harmful Algal Blooms are another, more high-profile, interest of mine, because they involve multiple facets of the environmental field and connect to public health. Research involving the changing of an outside environment of different species, through new construction or an invasive species for example, also interests me. I am hoping to complete research at Penn State to help expose me to other potential topics, dealing with both freshwater and marine environments, which I could explore in the future. Describe an experience you’ve had that piqued your interest in science as a future career. I always knew I wanted to pursue a career in science, but I did have a moment that cemented my environmental path. As a sophomore, I attended a summer camp at Gannon University called the Regional Summer School of Excellence, focused on exposing high schoolers to topics in ecology and health. The class portion in the first week covered basic topics in limnology and ended in the group going out on Gannon’s research vessel to collect samples from different areas of Presque Isle Bay. We took water samples, a benthic sample, and algae tow. 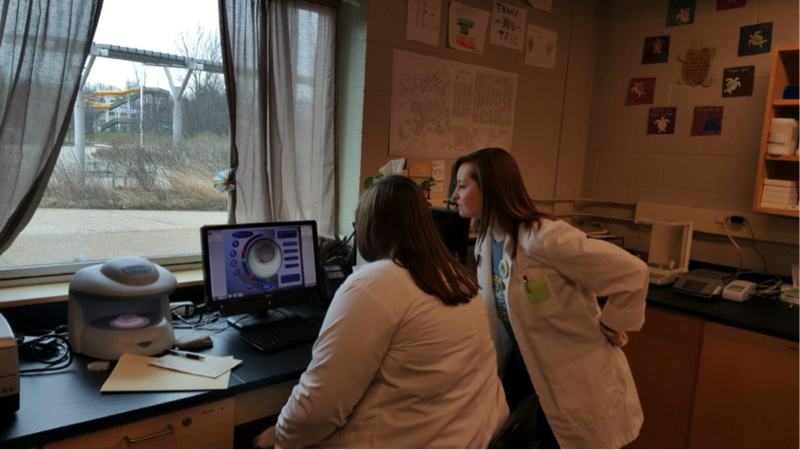 We analyzed everything we collected in the lab for the next day and a half, finding nutrient and bacteria levels as well as classifying and counting benthic organisms and algae. I was involved in the chemical tests and algae classification. On the last day of that week, I looked up from my microscope at the end of the day to realize that I was alone in the lab. I had been so absorbed in finishing my slide that I had barely noticed the other students trickle out of the lab. To wrap up the project, we had to write a report on the eutrophication of the sites we had visited and analyzed, and sorting through and trying to find patterns in the data was really fun for me. I realized at that point how much I enjoyed what I was doing, and how great it would be to do something like that every day. Two years later, I got the chance to do a similar project on the state of an area of Presque Isle Bay as a mentee at the Regional Science Consortium (RSC). Spending a few days a week testing an area of the Bay for similar data, I got the experience of working in a lab and completing a formal research project. 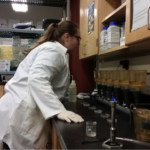 My experiences in both the lab and field with the RSC cemented my desire to work in the environmental field. Why do you think it is important for students to get involved in science careers? Today, we live in an age of STEM careers. Most new developments in our world are happening within these fields, and that makes these careers extremely exciting. The science field is growing and thriving right now, and this is only the beginning of a new era. In a science field, people can help push progress forward and really help the world. This is a big reason I am interested in a science career. 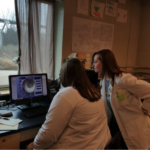 It is important for students to think about a career in science because what they do within these careers is important, and that is really exciting. What advice would you give to younger students interested in science? Do not be afraid to get involved. If you see something that you want to be involved in or participate in, reach out to whomever is running it. The worst you can be told is no. You never know if something is possible until you try, so it is important to constantly be trying and reaching for the things you want. Keep your eyes open for opportunities related to things that interest you, and always keep an open mind. Also, embrace your age, and don’t be afraid to attempt something because you think you are too young. A lot of places are looking to get students involved in their work and in science, so you will be embraced more often than you would think. Along with this, make sure you voice your opinions and ask questions. Most will appreciate the youthful and different perspective that you have on a topic.